The Grand Duchy of Leaminium is a nation led by Chief Overseer Synthesis on the continent of Africa. The Grand Duchy of Leaminium's government is a Monarchy with very liberal social policies. Economically, The Grand Duchy of Leaminium favors far left wing policies. The official currency of The Grand Duchy of Leaminium is the Bitcoin. At 1,719 days old, The Grand Duchy of Leaminium is an ancient nation. The Grand Duchy of Leaminium has a population of 13,721,499 and a land area of 114,000.00 sq. miles. This gives it a national average population density of 120.36. Pollution in the nation is evident. The citizens' faith in the government is completely depleted with an approval rating of 0%. We are a peaceful nation, but will not take acts of aggression lying down. Provoke us at your peril. 02/10 05:36 pm - Leaminium changed their Color Trade Bloc from Gray to Blue. 02/05 03:54 am - Leaminium applied to join the alliance Guardian. 02/05 03:54 am - Leaminium left and disbanded the alliance Griffyn. 01/28 10:30 pm - Leaminium was embargoed by carvell. 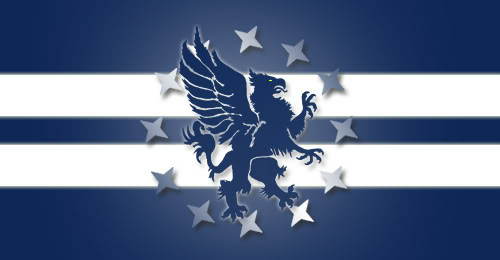 01/28 09:39 pm - Leaminium created the alliance Griffyn. 01/28 09:39 pm - Leaminium left and disbanded the alliance CatchMeIfYouCan. 01/27 02:50 am - Leaminium declared war on Mammo for the reason of "JUICY!". 01/27 02:49 am - Leaminium declared war on carvell for the reason of "JUICY!". 01/27 02:45 am - Leaminium declared war on Tazewell for the reason of "JUICY!". 01/26 10:03 pm - Leaminium changed their Color Trade Bloc from Gray to Blue. 01/26 09:59 pm - Leaminium had war declared by Oath for the reason of "Round 8 lol". 01/26 09:59 pm - Leaminium had war declared by Republic Of Pakistan for the reason of "Grhjskdjbjjdghdbhhkdh-657ggnsj893-#:_hdjn". 01/26 09:59 pm - Leaminium had war declared by The Byzantine Empire for the reason of "just turtle lol 🐢". 01/26 09:59 pm - Leaminium declared war on Buffalo NY for the reason of "JUICY! ".